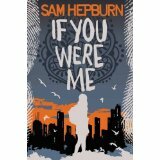 Sam was brought up in England by her English mother: her father was from Sudan. She lived there until she was three, but began revisiting her Sudanese family regularly in her twenties. Sam read Modern Languages at Cambridge University. She has worked in Lebanon, Germany, Italy and America and made lots of documentaries for television. Sam lives in London with her husband, three children, a dog, and a goldfish. 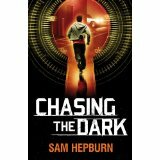 Sam writes under Sam Hepburn as a YA author and under Sam Osman as a Middle Grade author. 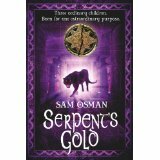 Find Sam on Twitter @Sam_Osman_Books or at samosmanbooks.com. If You Were Me: Not long after Aliya’s family escapes Afghanistan for Britain, her brother is accused of a bomb attack. Aliya is sure of his innocence, but when plumber’s son Dan finds a gun in their bathroom, what’s she to think? Dan has his own reasons for staying silent: he’s worried the gun might have something to do with his dad. Thrown together by chance, they set out to uncover a tangled and twisted truth. 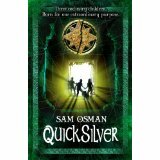 Quick Silver: Dark powers from the past are searching for three extraordinary children… Wolfie, Tala and Zi’ib were born on the same day on opposite sides of the world. They are brought together by astonishing coincidence – or so it seems. But only they can fulfil an ancient prophecy – and find a treasure of incalculable power. Can the mysterious energies that flow through the Earth’s prehistoric leylines be controlling their lives? And will they discover the chilling truth of who they really are?